Railpictures.ca - Michael Da Costa Photo: If you ever wondered where all those greyish white LATX 7000 and WFRX 849600 series hoppers go in Michael Berry’s Port of Montreal photos? Well here is the destination, Lantic Sugar in Mimico receives 5 night a week service from CN, most of the cars owned or leased by Lantic are in captive service between Montreal and Toronto. Two Rail King trackmobiles sit at the ready as we lift 6 empties for the return home to Oakville. | Railpictures.ca – Canadian Railway Photography – photographie ferroviaire Canadienne. Caption: If you ever wondered where all those greyish white LATX 7000 and WFRX 849600 series hoppers go in Michael Berry's Port of Montreal photos? 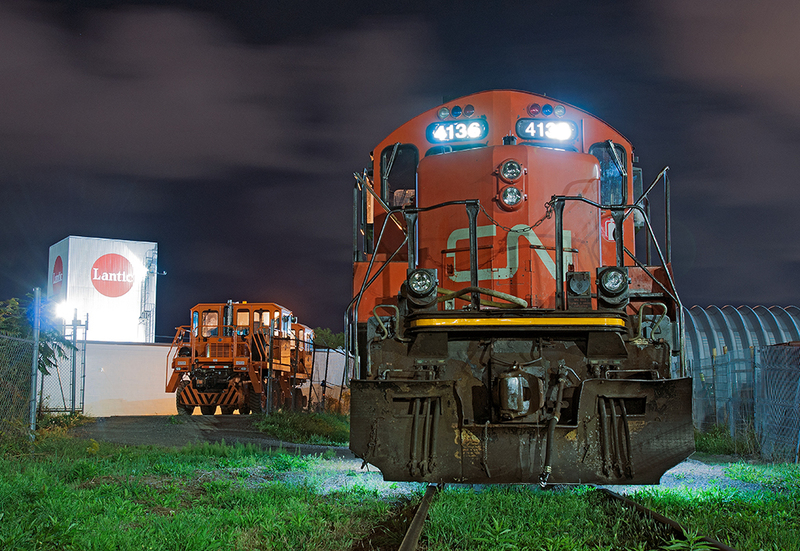 Well here is the destination, Lantic Sugar in Mimico receives 5 night a week service from CN, most of the cars owned or leased by Lantic are in captive service between Montreal and Toronto. Two Rail King trackmobiles sit at the ready as we lift 6 empties for the return home to Oakville. Just saw some LATX and WFRX hoppers in Aldershot. Didn’t look closely at the number series though unfortunately. Is it typical for them to have some sort of plastic wrap on the hatches? Thanks for the play by play! So the Mimico-Toronto run (forgive me I don’t know the #) is 5 nights a week now? That’s a lot of sugar for my coffee. Way too much. Good pic by the way.